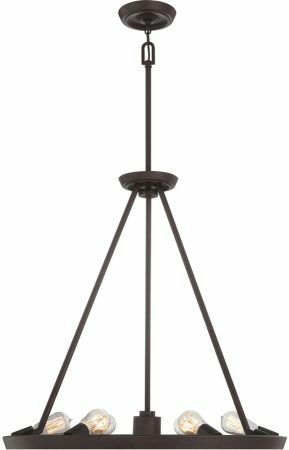 The Quoizel Uptown Theater Row 7 light chandelier in western bronze finish is a nostalgic-inspired design by Sergio Orozco. 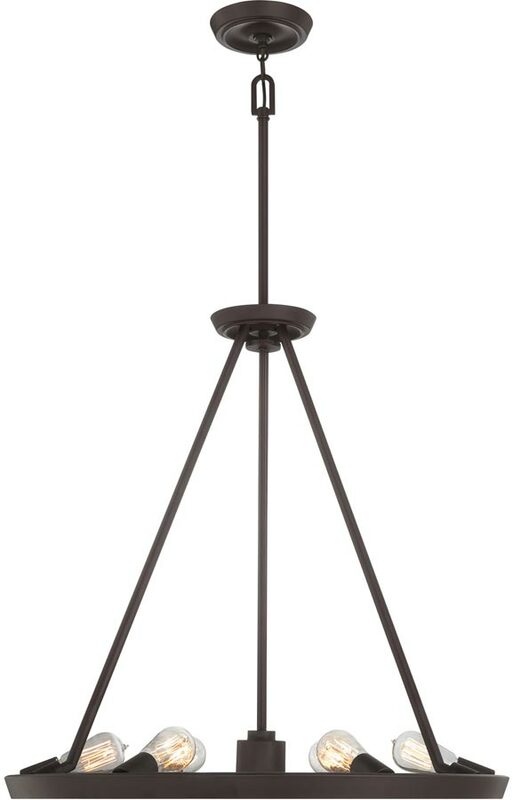 Stunning unusual open design, with a heavy frame suspended from ceiling rods and a central rod containing a holgen spot lamp. The open frame contains six 60w lamps and a 35w halogen lamp that shines directly downwards through the centre. The Theater Row lighting collection pays homage to Thomas Edison, with a reproduction vintage filament lamp that is nostalgic and trendy and is unlike any other chandelier available. With the exposed light bulbs bulbs and bronze finish this designer chandelier will bring a new elegance to your home. Supplied with two 15cm and two 30cm rods that can be used in any combination at the time of installation. Minimum height 94cm, maximum drop 184cm. Supplied with Edison style squirrel cage filament lamps as shown. Part of the Theater Row western bronze designer lighting suite that can be viewed below and includes an open wall light. Designed by Sergio Orozco for Quoizel, founded in 1930 in New York. They relocated to Charleston in 1996 where they remain to this day. 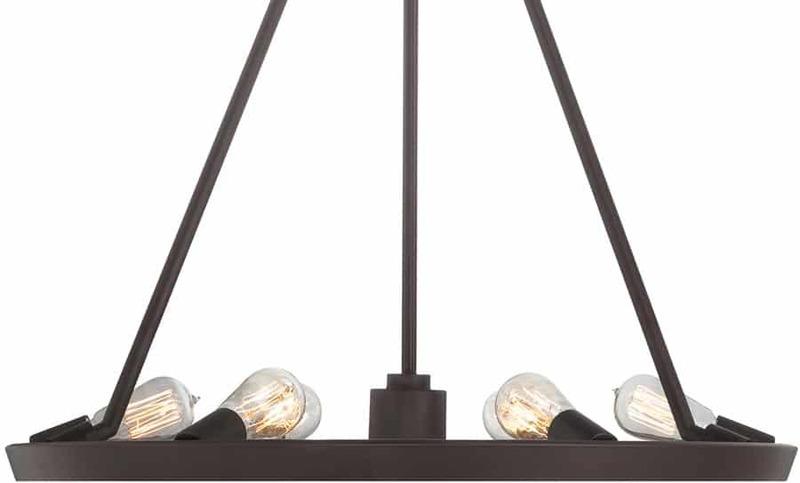 Quoizel products are now being introduced to the UK market and have quickly built a reputation for their diverse, unique and fresh designs like the Uptown Theater Row 7 light chandelier in western bronze finish featured here.